Hello! This is Kim. You can never have enough birthday cards. 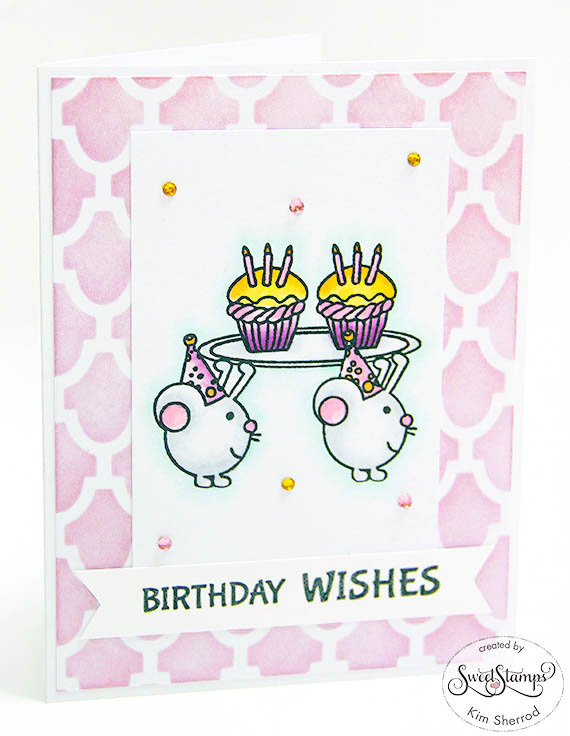 Today, I am using Sweet Stamps Party Mouse to make my card. I created the background using Sweet Stamps Roof Tile stencil. The light purple was done using a combination of pink and purple inks.The mice are colored in using Copic markers. I added blue around the image and randomly placed rhinestones on the image panel. What a Sweet birthday card, love the stenciled background too.